Have you heard about VenaSeal? 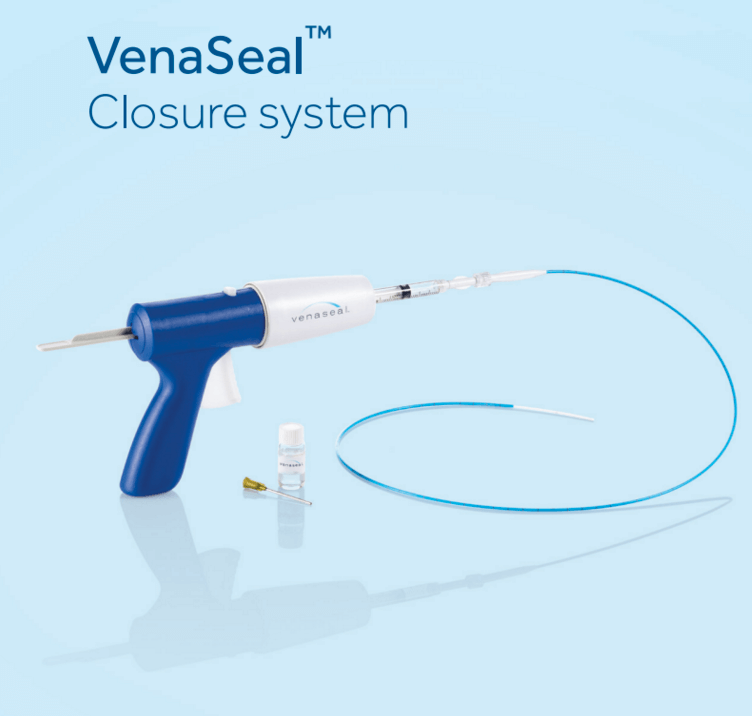 Last year, the U.S. Food and Drug Administration approved the VenaSeal closure system to permanently treat varicose veins of the legs by sealing the affected superficial veins using a tissue adhesive agent. Indiana Vein Specialists is one of the first practices in Indiana to offer this new technology for treating varicose veins. The VenaSeal system is intended for patients with superficial varicose veins of the legs that cause symptoms. It differs from previous procedures that used laser/radiofrequency energy or injectable sclerosant medication. With local anesthesia, a catheter is inserted through the skin into the diseased vein to allow injection of the VenaSeal adhesive. Proper placement of the catheter is insured using ultrasound imaging during delivery of the adhesive into the diseased vein to seal it. This new system is the first to permanently treat varicose veins by sealing them with an adhesive and gives patients another treatment option that could potentially reduce the need for lengthy compression stocking use after treatment. This technique also reduces the amount of needle injections needed to treat the abnormal superficial vein segments. Multiple studies have shown that this technique compares favorably with currently used treatments with minimal side effects. For more information about this new minimally invasive treatment option and to learn if it might be right for you, call our office for a consultation.